When the Reagan administration launched peacetime “psyops” in the mid-1980s, it pulled in civilian agencies to help spread these still-ongoing techniques of deception and manipulation. A just-declassified sign-in sheet for a meeting of an inter-agency “psyops” committee on Oct. 24, 1986, shows representatives from the Agency for International Development (USAID), the State Department, and the U.S. Information Agency (USIA) joining officials from the Central Intelligence Agency and the Defense Department. 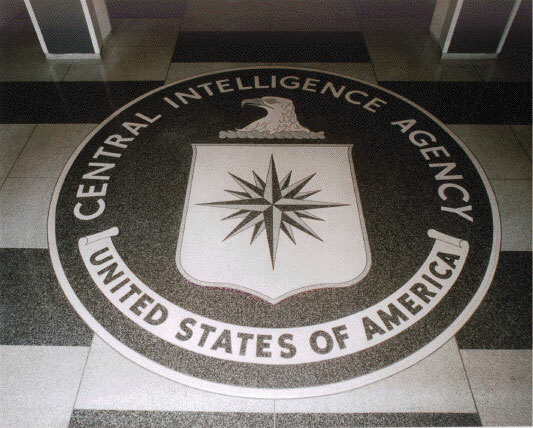 Some of the names of officials from the CIA and Pentagon remain classified more than three decades later. But the significance of the document is that it reveals how agencies that were traditionally assigned to global development (USAID) or international information (USIA) were incorporated into the U.S. government’s strategies for peacetime psyops, a military technique for breaking the will of a wartime enemy by spreading lies, confusion and terror. Essentially, psyops play on the cultural weaknesses of a target population so they could be more easily controlled or defeated, but the Reagan administration was taking the concept outside the traditional bounds of warfare and applying psyops to any time when the U.S. government could claim some threat to America. This disclosure – bolstered by other documents released earlier this year by archivists at the Reagan library in Simi Valley, California – is relevant to today’s frenzy over alleged “fake news” and accusations of “Russian disinformation” by reminding everyone that the U.S. government was active in those same areas. The U.S. government’s use of disinformation and propaganda is, of course, nothing new. For instance, during the 1950s and 1960s, the USIA regularly published articles in friendly newspapers and magazines that appeared under fake names such as Guy Sims Fitch. However, in the 1970s, the bloody Vietnam War and the Pentagon Papers’ revelations about U.S. government deceptions to justify that war created a crisis for American propagandists, their loss of credibility with the American people. Some of the traditional sources of U.S. disinformation, such as the CIA, also fell into profound disrepute. This so-called “Vietnam Syndrome” – a skeptical citizenry dubious toward U.S. government claims about foreign conflicts – undermined President Reagan’s efforts to sell his plans for intervention in the civil wars then underway in Central America, Africa and elsewhere. Reagan depicted Central America as a “Soviet beachhead,” but many Americans saw haughty Central American oligarchs and their brutal security forces slaughtering priests, nuns, labor activists, students, peasants and indigenous populations. Reagan and his advisers realized that they had to turn those perceptions around if they hoped to get sustained funding for the militaries of El Salvador, Guatemala and Honduras as well as for the Nicaraguan Contra rebels, the CIA-organized paramilitary force marauding around leftist-ruled Nicaragua. So, it became a high priority to reshape public perceptions inside those targeted countries but even more importantly among the American people. 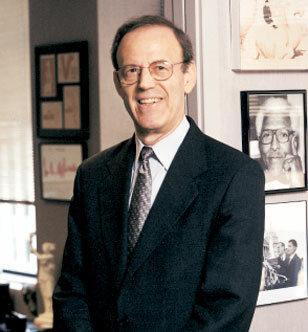 That challenge led the Reagan administration to revitalize and reorganize methods for distributing propaganda and funding friendly foreign operatives, such as creation of the National Endowment for Democracy under neoconservative president Carl Gershman in 1983. Another entity in this process was the Psychological Operations Committee formed in 1986 under Reagan’s National Security Council. In the years since, the U.S. administrations, both Republican and Democratic, have applied many of these same psyops principles, cherry-picking or manufacturing evidence to undermine adversaries and to solidify U.S. public support for Washington’s policies. This reality – about the U.S. government creating its own faux reality to manipulate the American people and international audiences – should compel journalists in the West to treat all claims from Washington with a large grain of salt. However, instead, we have seen a pattern of leading news outlets simply amplifying whatever U.S. agencies assert about foreign adversaries while denouncing skeptics as purveyors of “fake news” or enemy “propaganda.” In effect, the success of the U.S. psyops strategy can be measured by how Western mainstream media has stepped forward as the enforcement mechanism to ensure conformity to the U.S. government’s various information themes and narratives. For instance, any questioning of the U.S. government’s narratives on, say, the current Syrian conflict, or the Ukraine coup of 2014, or Russian “hacking” of the 2016 U.S. election, or Iran’s status as “the leading sponsor of terrorism” is treated by the major Western news outlets as evidence that you are a “useful fool” at best, if not a willful enemy “propagandist” with loyalty to a foreign power, i.e., a traitor. Leading mainstream media outlets and establishment-approved Web sites are now teaming up with Google, Facebook and other technology companies to develop algorithms to bury or remove content from the Internet that doesn’t march in lockstep with what is deemed to be true, which often simply follows what U.S. government agencies say is true. Yet, the documentary evidence is now clear that the U.S. government undertook a well-defined strategy of waging psyops around the world with regular blowback of this propaganda and disinformation onto the American people via Western news agencies covering events in the affected countries. 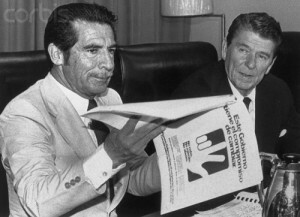 During more recent administrations, euphemisms have been used to cloak the more pejorative phrase, “psychological operations” – such as “public diplomacy,” “strategic communications,” “perception management,” and “smart power.” But the serious push to expand this propaganda capability of the U.S. government can be traced back to the Reagan presidency. Over the years, I’ve obtained scores of documents related to the psyops and related programs via “mandatory declassification reviews” of files belonging to Walter Raymond Jr., a senior CIA covert operations specialist who was transferred to Reagan’s National Security Council staff in 1982 to rebuild capacities for psyops, propaganda and disinformation. Raymond, who has been compared to a character from a John LeCarré novel slipping easily into the woodwork, spent his years inside Reagan’s White House as a shadowy puppet master who tried his best to avoid public attention or – it seems – even having his picture taken. From the tens of thousands of photographs from meetings at Reagan’s White House, I found only a couple showing Raymond – and he is seated in groups, partially concealed by other officials. But Raymond appears to have grasped his true importance. In his NSC files, I found a doodle of an organizational chart that had Raymond at the top holding what looks like the crossed handles used by puppeteers to control the puppets below them. The drawing fits the reality of Raymond as the behind-the-curtains operative who was controlling the various inter-agency task forces that were responsible for implementing psyops and other propaganda strategies. This broader commitment to psyops led to the creation of a Psychological Operations Committee (POC) that was to be chaired by a representative of Reagan’s National Security Council with a vice chairman from the Pentagon and with representatives from CIA, the State Department and USIA. Raymond was named a co-chair of the POC along with CIA officer Vincent Cannistraro, who was then Deputy Director for Intelligence Programs on the NSC staff, according to a “secret” memo from Deputy Under Secretary of Defense Craig Alderman Jr. The memo also noted that future POC meetings would be briefed on psyops projects for the Philippines and Nicaragua, with the latter project codenamed “Niagara Falls.” The memo also references a “Project Touchstone,” but it is unclear where that psyops program was targeted. 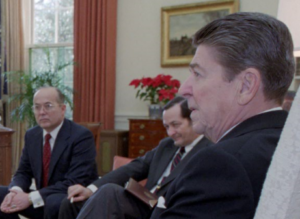 The POC’s second meeting on Oct. 24, 1986 – for which the sign-in sheet was just released – concentrated on the Philippines, according to a Nov. 4, 1986 memo also co-authored by Raymond. While the initials USAID conjure up images of well-meaning Americans helping to drill wells, teach school and set up health clinics in impoverished nations, USAID also has kept its hand in financing friendly journalists around the globe. In Ukraine before the 2014 coup, USAID offered training in “mobile phone and website security,” which sounds a bit like an operation to thwart the local government’s intelligence gathering, an ironic position for the U.S. with its surveillance obsession, including prosecuting whistleblowers based on evidence that they talked to journalists. USAID, working with billionaire George Soros’s Open Society, also funded the Organized Crime and Corruption Reporting Project (OCCRP), which engages in “investigative journalism” that usually goes after governments that have fallen into disfavor with the United States and then are singled out for accusations of corruption. The USAID-funded OCCRP also collaborates with Bellingcat, an online investigative website founded by blogger Eliot Higgins, who is now a senior non-resident fellow of the Atlantic Council, a pro-NATO think tank that receives funding from the U.S. and allied governments. Higgins has spread misinformation on the Internet, including discredited claims implicating the Syrian government in the sarin attack in 2013 and directing an Australian TV news crew to what looked to be the wrong location for a video of a BUK anti-aircraft battery as it supposedly made its getaway to Russia after the shoot-down of Malaysia Airlines Flight 17 in July 2014. Despite his dubious record of accuracy, Higgins has gained mainstream acclaim, in part, because his “findings” always match up with the propaganda theme that the U.S. government and its Western allies are peddling. Though most genuinely independent bloggers are ignored by the mainstream media, Higgins has found his work touted by both The New York Times and The Washington Post, and Google has included Bellingcat on its First Draft coalition, which will determine which news will be deemed real and which fake. In other words, the U.S. government has a robust strategy for deploying direct and indirect agents of influence who are now influencing how the titans of the Internet will structure their algorithms to play up favored information and disappear disfavored information. 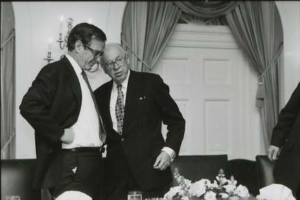 USIA, which was founded in 1953 and gained new life in the 1980s under its Reagan-appointed director Charles Wick, was abolished in 1999, but its propaganda functions were largely folded into the new office of Under Secretary of State for Public Diplomacy and Public Affairs, which became a new fount of disinformation. 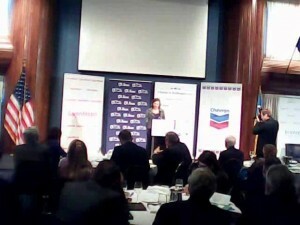 Nuland also was a leading proponent of the Ukraine coup, personally cheering on the anti-government rioters. In an intercepted phone call with U.S. Ambassador to Ukraine Geoffrey Pyatt, Nuland discussed how “to glue” or “midwife this thing” and who the new leaders would be. She picked Arseniy Yatsenyuk – “Yats is the guy” – who ended up as Prime Minister after elected President Viktor Yanukovych was overthrown. Despite all the evidence of a U.S.-backed coup, The New York Times simply ignored the evidence, including the Nuland-Pyatt phone call, to announce that there never was a coup. The Times’ obeisance to the State Department’s false narrative is a good example of how the legacy of Walter Raymond, who died in 2003, extends to the present. Over several decades, even as the White House changed hands from Republicans to Democrats, the momentum created by Raymond continued to push the peacetime psyops strategy forward. In more recent years, the wording of the program may have changed to more pleasing euphemisms. But the idea is the same: how you can use psyops, propaganda and disinformation to sell U.S. government policies abroad and at home.